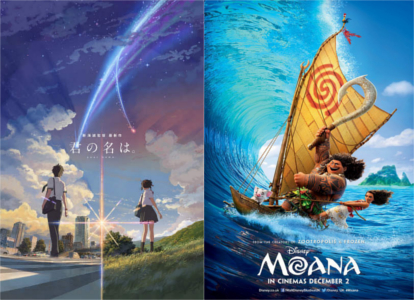 It’s an animation double bill this week as Gavin & Iain review the Japanese animated smash hit Your Name (君の名は / Kimi no Na wa) and Sinsey ‘s latest musical adventure Moana. Let us know what you think of our reviews by emailing us at [email protected], tweeting us at @McYapAndFries, on Facebook or using the Contact Us form here on the site. As always the podcast is brought to you by greenroom136.com. Use the discount code in the podcast for 10% off your next purchase!